Turkey And Butternut Squash Baked Ziti. Hey everyone! Here is a recipe that’s easy enough for a busy school or work night. Now we all love those classic comfort foods that we had as a child. And baked ziti was one of my favorites. Its loaded with cheese, pasta and meat sauce. Not to mention a very inexpensive and easy throw together meal. Now this recipe is a lightened up baked ziti. We start with a flavorful ground turkey that’s tossed with a velvety butternut squash sauce. And topped with fontina cheese and baked until bubbly and golden. I use ground turkey in place of ground beef to lighten it up. The roasted butternut squash is pureed into a sauce alongside a little cream and chicken stock. This meal will honestly fool even the pickiest of eaters. It looks and tastes like a decadent cheese sauce. I hope that you enjoy this comforting casserole as much as we did. Leave a comment below. One cup sweet onion, finely chopped. Heat olive oil in a large saute pan over medium-high heat. And saute onion and garlic for 2-3 minutes. Add ground turkey and seasonings, break into pieces and cook until browned about 6-7 minutes. Remove from heat. In a blender add roasted squash, cream, stock, salt, and pepper. If it is too thick for your liking, you can always thin it out with a little leftover pasta water. Add butternut squash sauce and mozzarella with the turkey mixture. 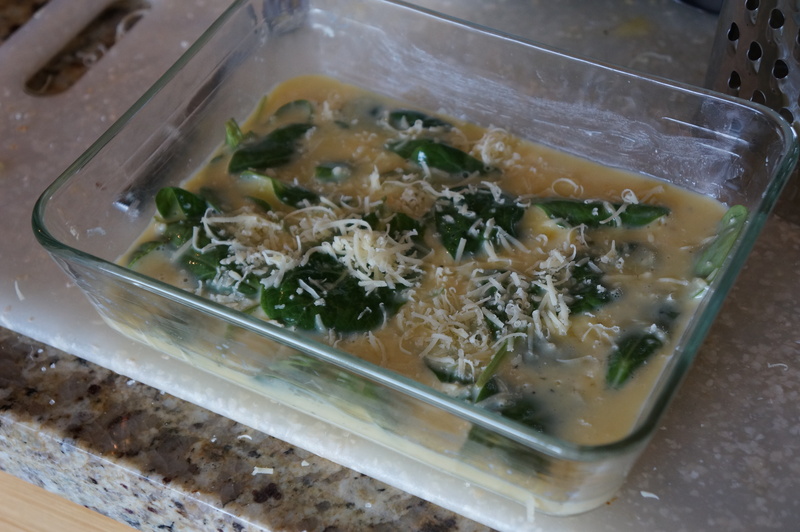 Combine with pasta and transfer mixture into a prepared baking dish. 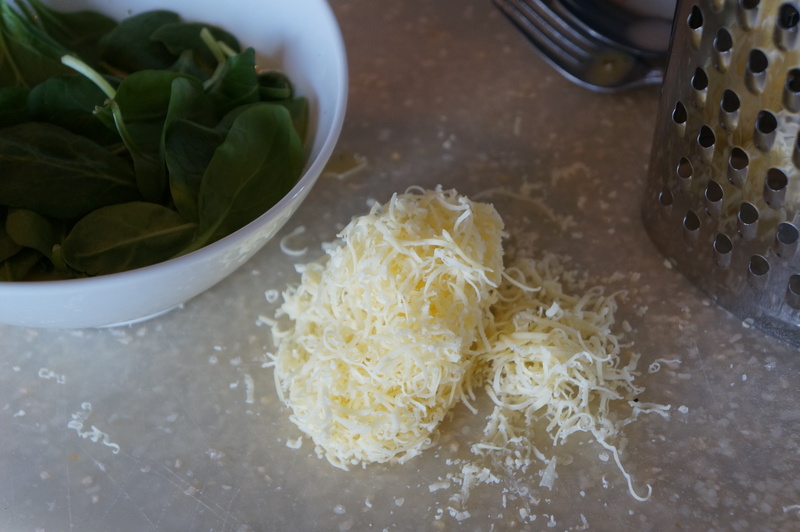 Break off chunks off fontina cheese and place over the top of the pasta. Bake in a 350-degree oven for 15 to 20 minutes until bubbly and browned. Serve immediately. Mini Chicken Parmesan Style Burgers. These quick pan-fried mini chicken burgers are a simply flavored spin on chicken parmesan. But In handheld form! Perfect for your next gathering or game night. Chicken parmesan is one of my family’s favorite meals for me to prepare. So I loved creating this fun and delicious spin on a classic. Ground chicken is mixed with some simple seasonings, fresh basil and pan-fried until cooked through before topping it with fresh mozzarella, more basil and a slathering of marinara sauce. Let me know what you think in the comments below. Two tablespoons fresh chopped basil. Plus more for topping. In a large bowl add in ground chicken. Toss in seasoning, chopped basil and gently mix. I like to use a 1/4 measuring cup to scoop out even sized burgers and form shape. Tip- You can moisten your hands before forming burgers. It will help keep the burger from sticking to your hands. Add in chicken burgers and allow to cook 4-5 minutes per side until each side has browned and is cooked through. Assemble burgers by placing on the bottom of bun and topping with mozzarella, basil., and marinara, Serve immediately. Maple Balsamic Roasted Vegetables. Happy Friday everyone! Here is a quick recipe to serve alongside your main dish this weekend. And this side dish (Or main if that’s your preference) can be put together in a flash! Deliciously seasoned and roasted vegetables are coated in olive oil, balsamic vinegar, and maple syrup before being roasted to perfection! But please don’t overcook it. Always set a timer to avoid mishaps in the kitchen. (You can also use your oven or microwave timer) It is a lifesaver/food saver! Nothing smells worse than overcooked broccoli! Maple and balsamic give this dish a sweet and sour flavor. This is seriously the easiest, simplest, and the BEST way to roast your vegetables. One zucchini, sliced and quartered. One yellow squash, sliced and quartered. One orange bell pepper, seeded and chopped. One yellow bell pepper, seeded and chopped. One small red onion, peeled and cut. 1 teaspoon crushed red pepper flakes, optional. In a large bowl add chopped vegetables. In a small bowl mix balsamic, maple, olive oil, and red pepper flakes. Mix well. Season the vegetables with spices and salt and pepper to taste. Add vinegar mixture and gently toss to coat. Lay evenly on a non-stick baking sheet. Place in the oven and bake for 15-20 minutes or until tender. Throwback Thursday! With my end of summer Panzanella Salad. What better way to use produce than to make a Panzanella salad. Which is a traditional Italian “bread salad.” Crispy croutons made from toasted baguette cubes along with fresh, crunchy veggies bring this powerhouse salad together. Drizzle with a little dijon vinaigrette love, and you can’t go wrong. Gardening is such a joy to my family and me. Nothing beats growing something with your own hands and watching it flourish. We’ve created so many delicious recipes using various tomato plants, cucumber, zucchini, and watermelon. Along with so many amazing fresh herbs. Start your own garden! It’s a fantastic way to get the kids involved too. Let me know what you think in the comments below. One English cucumber halved and cut into 1/2 inch pieces. Whisk together all ingredients for the vinaigrette and set aside. Spread cubes of bread onto a baking sheet. Drizzle with olive oil. Baked in a preheated oven for 15-20 minutes until golden all around. Remove from oven and allow to cool. In a large bowl, mix tomatoes, cucumber, peppers, red onion, basil, and capers. Add the bread cubes and toss with the vinaigrette. Season with salt and pepper. Drizzle with vinaigrette. Toss well. Baked Eggs Breakfast Souffle. Flashback to one of my old recipes with this delicious souffle this weekend! 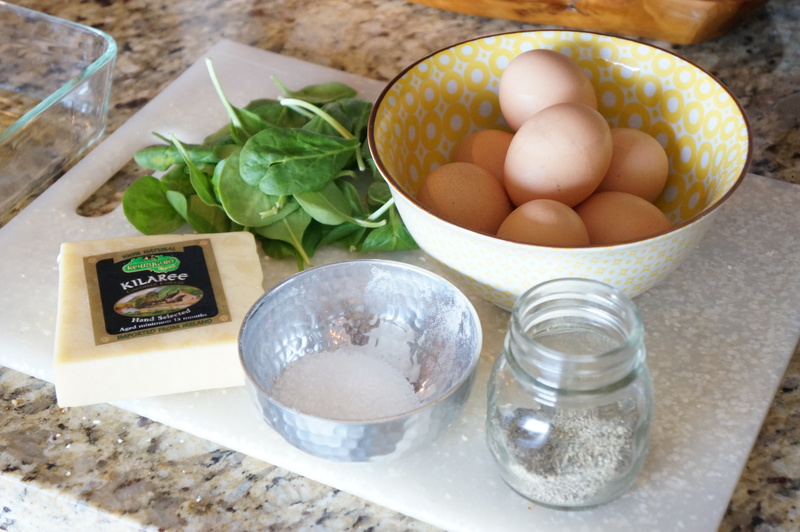 This is a quick and easy egg recipe. It’s definitely a husband pleaser. The recipe below is a base recipe. Meaning you can add in whatever you like to it! Shrimp, chicken, sausage, bacon, tomatoes … ANYTHING would be delicious in this soufflé. Try it and let me know what you think! *** This recipe is for 2 people. Double ingredients for 4 :). Sweet and Spicy Shrimp Wraps. I’m craving something spicy and sweet! And this shrimp wrap hits the spot. Spicy and decadent wrapped in crisp lettuce and topped with some crunchy toppings like jicama, onion, and mango. Mango is always a staple in my household. And the sriracha honey is the perfect combination of sweet and spicy. You can easily modify this and grill the shrimp instead of pan frying it and serve family style with all the fixings. Let me know what you think in the comments below. 1lb large shrimp, peeled, deveined, and tails removed. 1/2 jicama, cut into matchsticks. One mango pitted and cubed. 1/2 red onion, peeled and diced. Mix honey and sriracha together in a small bowl. Season your shrimp with spices and sriracha honey mixture in a large bowl and set aside. Heat oil and butter in a large pan over medium-high heat. Add the seasoned shrimp to the pan. Cook for until golden brown and opaque throughout, about 4 to 5 minutes. Add lemon juice and remove from heat. Serve the shrimp in lettuce leaves and top with desired accompaniments! Today I would like to share with you my “Almond Butter Energy Bites.” No-bake and super easy to make and takes less than 10 minutes to put together. 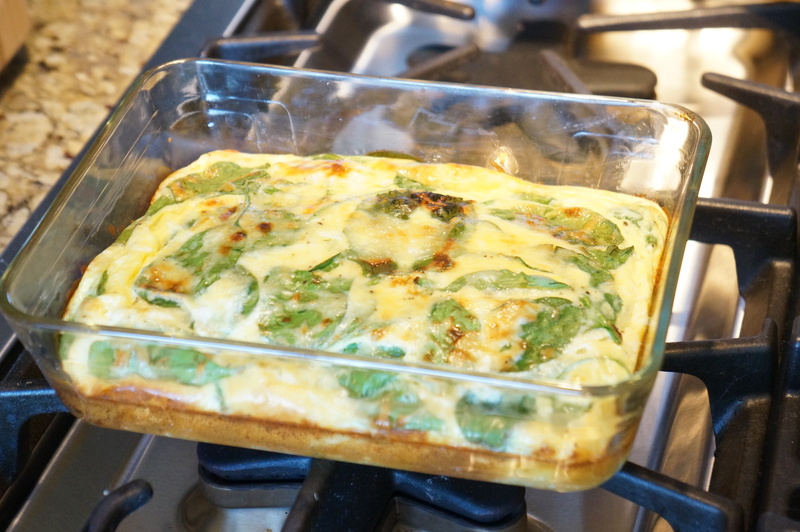 This recipe is the perfect, delicious snack, breakfast, or even dessert! They are great for freezing ahead as well. Packed with protein and is my go-to snack after a grueling workout. Loaded with oats, almond butter, flax seeds, cherries, and dark chocolate. Some healthy fats and fiber for a quick energy boost. I love incorporating flax seed into a lot of the recipes that I eat. Whether it be smoothies, sauces or my flax seed chicken tenders from my cookbook “The Seasoned Life.” Did you know that flaxseed is known to improve digestion, clear skin, lower cholesterol, and so much more? And I love how flexible and forgiving this recipe is to make. If its too sticky add more oats if its too dry add more honey. You can use almond, peanut, cashew, sun butter or whatever you have on hand. My kids love helping me make these. This will be the perfect thing to add into your kid’s lunchbox once school starts back! Do you have a favorite energy bite variation? Please share yours in the comments below. Combine oats, dark chocolate, flax seed, almond butter, honey, cherries, and salt in a bowl. And use your hands to blend and mix all of the ingredients. ( A Perfect job for the kids to help with) Form into golf sized balls using your hands or a cookie scooper. Place energy bites on a parchment-lined baking sheet and allow to rest for about 30 minutes. This process will allow the oats to absorb some of the moisture and stick together. They can be stored and refrigerated in an airtight container for up to two weeks. Fun With Fruit This Easter- Kid Friendly! Fun With Fruit This Easter- Kid Friendly! We all know that kids get way to much candy this time of year. And I try and keep a happy balance with sweets and healthier foods like fruit. So here is a really fun and easy activity to do with your children this Easter. Simply pull out your favorite Easter cookie cutters (Bunny, egg, chick, etc.) and cut up your favorite types of fruit (I used pineapple, watermelon, and honeydew). Have your kids use the cutters to create fun shapes with their fruit and then lay them on a platter. You can simply serve it like that or add a skewer (So cute!) in the center. It’s that easy! Let me know if you try it in the comments below. Posted in FoodTagged cookie cutter, easy, fruit, healthy, kid-friendly, shapes1 Comment on Fun With Fruit This Easter- Kid Friendly! Happy Friday! For Flashback Friday I am bringing back my “Baked Tilapia In Foil” recipe. But honestly, you can use any fish in this recipe. I use salmon in place of the tilapia all the time. We use the leftover salmon the next day for perfect and quick scrambled eggs for the family. Win-win! Quickly put together with an even easier clean-up. And it can be changed in a flash by substituting different types of fish (Cod, salmon, bass, etc.) and veggie combinations. Tilapia is full of omega-3 fatty acids and protein. In this recipe, I paired it along with some delicious vegetables like kale and sunburst tomatoes. But I love to stuff my fish packages full of veggies I find that are seasonal and drizzle them with a bit of olive oil, lemon juice, and whatever seasoning I’m in the mood to use. In my opinion its the perfect meal to wind down with on a Friday night. And don’t forget the best part….No cleanup! Lay each fillet out on its own piece of foil. Make sure that the foil is large is enough to hold the fish and veggies when assembled. Combine all of your veggies in a bowl and season with salt and pepper. Top each fillet with the mixture. Drizzle each pouch lightly with olive oil. Fold over the fillet and roll up the edges to create a seal. Place on a baking sheet and bake for 15 to 20 minutes. Once your fish is cooked, it will flake easily with a fork. Now, these can be served straight from the packet for easy clean-up. Or you can remove it from the foil and plate it with the veggies on top. Hey Everyone! Papaya is a fruit that as a child i was used to seeing in the household and being served at breakfast. Its a good source of vitamins A & C. It also contains tons of fiber and reduces the risk of heart disease, diabetes, and cancer. You can enjoy it freshly cut or add it to a yummy fruit salad or smoothie! Just cut off the top and bottom, then half the fruit lengthwise. Then with a spoon scoop out and discard seeds. Then cut into bite-size pieces or slices. For even more flavor I like to squeeze a little lime juice over the top. Did you know that papaya seeds are actually edible? The papaya seed is said to have a slightly peppery/mustard taste. Leave a comment below if you have ever made a dish using papaya seeds in it. 2 cups fresh papaya, deseeded and chopped. 1/2 cup passion fruit juice, chilled. Just place ingredients in blender and blend. If the consistency is too thick for you just add more of your liquid ingredients or ice and continue to blend to your liking! So easy and so delicious. Quick TIP: I love to put all of my fruits in Glad Freezer Bags at the beginning of the week for easy and convenient smoothie prep. I am so excited to share this next smoothie recipe with you guys! It’s packed full of healthy veggies, and has a hint of sweetness to it. It’s super quick and easy to make and full of vitamins and antioxidants! Don’t forget our contest is in full effect. Be sure to enter using the details below. We’ve already had a ton of great entries and I can tell you right now it’s going to be so hard to pick a winner. Send in your original smoothie/juice recipes by Friday, January 20th 5:00 pm (PST) for a chance to win a brand-new Vitamix blender from our friends at Williams-Sonoma! Just include a photo, recipe and a little background on how you came up with the recipe and why you love it! Send all entries to ayeshacurrygiveaway@gmail.com. We will announce the winner on 1/21/17. Simply place ingredients into blender and blend. If the consistency is too thick for you simply add more of your liquid ingredients and continue to blend to your liking! So easy and so delicious. Quick TIP: I love to put all of my veggies in Glad Freezer Bags at the beginning of the week for easy and convenient smoothie prep. Live music, endless street art, southern comfort, and food that is so unbelievably good you can’t come to Austin, Texas without expecting to put on a few pounds. This past weekend I had the luxury of visiting this lively city with my older sister, who attends the University of Texas at Austin. After only hearing good things about Austin my expectations were high, but I didn’t know what to expect. So many things to see and do there wasn’t nearly enough time to finish it all in 48 hours. That’s why I can’t wait to come back in the fall for the Austin City Limits music festival. Here’s my review and overall experience of Austin, Texas and I hope this guide is helpful to the next adventure seeking vacationers. For the past three years Austin has reached summer temperatures of over 100 degrees for two or three consecutive months, and the weather was headed in that direction. So packing during the warm (and humid) months, pack light and airy clothes. At night it doesn’t get lower than 85, I didn’t bother bringing a sweater. In the morning we ate at a restaurant called Blue Dahlia, the scene was adorable and the french cafe was a great spot to kick off the weekend. The restaurant is known for their open faced sandwiches. Outdoor seating is available in the front and back, request the front for people watching! Across the street was the famous BBQ joint called Franklins. To eat at this restaurant you need to wait in line for at least a couple hours; we passed by and the line was around 100 people long. The food typically runs out at 12 o’clock, and then the restaurant closes for the day. Most people end up having bbq for breakfast, but nothing wrong with that! We wandered around 2nd street, a lively place for shopping boutiques and more great restaurants are located there. Along Second is the river that goes through Austin, and it really makes the whole city so refreshing. We walked across the bridge and over to South Congress for the famous Gourdough’s Doughnut truck. Look at my picture and zoom in to read the menu (it’s insane) any topping you want on a sweet, warm, doughy doughnut. Mouth watering…The best part about Austin is that everywhere you go, you can’t go without passing all these killer food trucks. Empty parking lots are filled with options and each truck is so unique and so good. Plus they have their own addresses on google maps which makes it really easy to access the ones you want. On our way home we stopped at the worlds largest and first Whole Foods. I skipped into the store like a four year old because I was so excited. For anyone visiting Austin you can’t leave without coming here, even if you don’t buy anything you leave the store stuffed because of all the free samples. I left with a pressed juice because whenever I drink those I’m convinced it’s a workout in a bottle (I didn’t go to the gym that day…..) That night we went downtown to 6th street, thousands of people fill the streets and live music is at every corner. We indulged in the famous post-party snack, Roppolo’s Pizzeria (greasy goodness.) Late that night my sister still reminded me I hadn’t tried the Texas fad, Queso. Indulging our bodies once again, we ordered this delicacy. I could make an entire blog post just on this damn food. We Californians love guacamole and salsa with our tortilla chips, but that really needs to change. Queso is melted cheese filled with Spanish spices and guacamole in the bottom of the bowl. Each bite leaves your body with a happy sensation. I can’t explain to you guys how good this treat is and I hope everyone is lucky enough to try this one day. Sunday- I was so excited to get myself a Texas burger at the hotspot, Hopdoddys. Three hours before my flight, the line was a two hour wait…. I didn’t get my Hopdoddys. But, I’m a sucker for sushi, and across the street was a super cool Japanese kitchen, Funky Robot. The interior was just as good as the food, the walls were filled with murals and the furniture and decorations were so bright, some tables even had swings as their seating!